This tailored jacquard jacket by Marina Rinaldi is a smart choice. 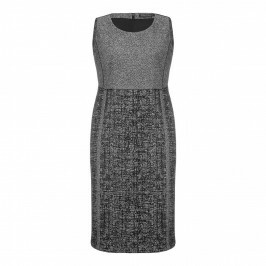 We love the flattering longline collarless cut. Roll up the sleeves to show off the contrast lining and layer over a shift dress for an elegant daytime look.